To start your adventure as an Archer, you must go to the Loures Harbor and take the ferry to Medenia. Upon arrival in Medenia, you must make your way to Asilon and speak with the girl near the center of town: she will teleport you to the Training Grounds. Speak with the Trainer in this area to learn more about the valuable Archer profession. She will tell you valuable information and the basic requirements to become an Archer: The first requirement is that you must be a Grand Master of your current class; this means you have defeated all four Creants. If all this is offered, you may now become an Archer. Upon becoming an Archer you will be given Blinding Bolt if you are Pure. For more information on Archer spells/skills please visit the corresponding Sections on the site. Once you become a new Archer, you will want to learn the Star Arrow spell immediately. Also available to you would be all the Bow and archery skills. Go to the Medenia Spell/Skill section for all the spells/skills you can learn. All Medenia advancements cost quite a lot of Experience and Gold, so make sure you are prepared. You will also want to go and buy new equipment to replace the lost equipment of your Grand Master gear. All equipment and Medenian armor can be found in corresponding sections on this site. There are also a number of quests that can be done to reward valuable AB: look around Noam and Asilon for these quests. 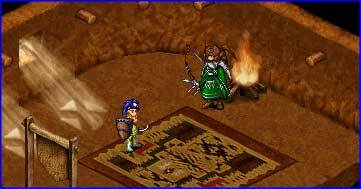 The main object to start is hunting as an Archer, new hunting grounds such as Noam Plains, Andor, Alsaid Plains and higher hunting areas all use very unique styles of hunting. Start hunting as soon as you can so you can advance to wear some more of the greater equipment (to counteract what you lost). With the Star Arrow you can attack with a pretty nice Light spell. This will probably a very valuable form of attack in many areas. Also make sure you understand the uses of the Arrows and Bows the Archers have. Understanding how to make them work efficiently will be a huge difference on how well you are as an Archer. For tips please see the Medenia Weapon Section. Congratulations on becoming an Archer and stay safe!